They also gave me a fancy seal to include on my cover. You may have noticed it on retailers already! It will be on the paperback at some point as well. I’m super excited to see the series available to more and more readers through libraries. I’ve seen a big uptick in my sales of ebooks to Overdrive as well as print books to schools and libraries through my publisher’s print distributor, which is fantastic. 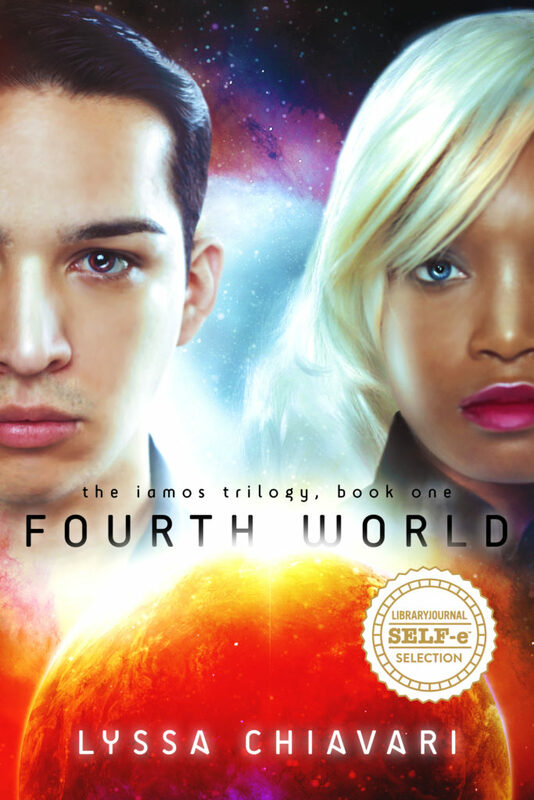 Remember, if you’d like to see the Iamos Trilogy at your local library, just ask your librarian! It should be easily available for them to order. Remember how I said after Pronoun closed that I hoped to get the series back on Google Play in the future? Well, it happened way faster than I expected. Google didn’t make a deal with Draft2Digital like I’d hoped, but they did open their doors to new publishers after being closed for several years, likely in response to the Pronoun news. So you can find Fourth World and Different Worlds on Google Play now, and the rest of the series will also be available there upon release. Additionally, by popular request, I’ve made the books available on Gumroad! So, for those of you who like to buy your ebooks there, you can find my books here. As I mentioned I was planning after the Pronoun debacle, I have enrolled Cheerleaders in Kindle Unlimited in order to try to resuscitate sales on Amazon after losing my original listing and also-boughts. That means for the time being, it is available only on Amazon. Depending on how things go, I will probably make it available widely again after a couple cycles (they lock you in for 90-day enrollment periods). That would likely be around May if I do decide to go that route. In the meantime, my publisher for that book, The Kraken Collective, is planning a big, 20-book+ sale event to celebrate our one-year anniversary. There’s going to be a lot of fun involved there, from a bookish personality quiz to a multi-author blog hop. I’ll share more info about that as we get closer, but for now I’ll tell you that both Cheerleaders and Fourth World are going to be on sale for $0.99 from January 26-February 1, so mark your calendars! After I finish with my last scheduled client in January, I’m going to be closing my formatting/cover design business. This will free up my time to concentrate on writing full-time. You may still see a few new covers or interiors from me as I finish up work on ongoing series with current clients, but I won’t be accepting new clients for the foreseeable future. With the goal of continuing to simplify my life and allow more free time for writing without making me sick, I’ve decided to close the online store that’s integrated with my website. The majority of my books are available through Snowy Wings Publishing, which just opened an online store of their own, so if you’re looking for signed copies, be sure to check there. When New World releases, I’ll be sure to do a special preorder like I have for my other books, and it will be available on my publisher’s store. Since I’m closing Key of Heart Designs, I had to restructure my Patreon (one of the old reward tiers offered a discount on formatting and other design services). This led to me coming up with a new way to use Patreon that I’m really excited about: Indie Insider, a short monthly podcast all about the publishing industry, with a special focus on topics of interest to indie authors and publishers. I’m going to be recording the first episode shortly and I’m super excited to share it with patrons. If you’re interested, you can find my Patreon here! I also have a number of Iamos-related short stories in the works over the coming months leading up to New World, and these will be shared exclusively to Patreon. These stories dive more deeply into the pasts of characters we’ve encountered in the first book and novella of the series, the way “The Choice” did for Eos and Marin. I have one story already published on Patreon about Tamara’s moms as teenagers; additionally, in January there will be a brand-new story about Nadin and Ceilos; and when New World releases, I have a Tamara and Henry story that I’ll post at the same time (can’t do it earlier, because, you know, spoilers 😉). All of these stories connect to New World in some way, so I’m hoping they’ll give you a better understanding of the world and the characters as well as tide you over until the book’s release. Anyway, that’s it for me! I’m looking forward to 2018 being a productive one with lots of writing and new books for you!